Sneaker fanatics have been sleeping on the streets of New York for days to snap up Nike’s newest item: a $220 glow-in-the-dark shoe. 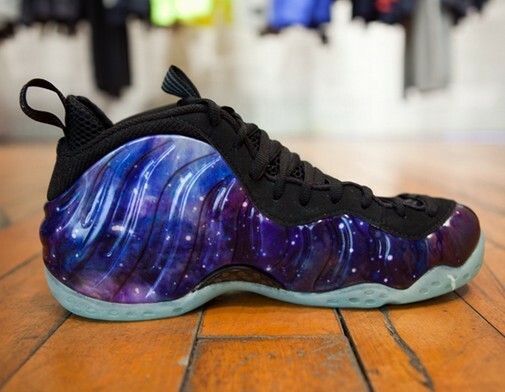 The Foamposite Galaxy is being released Friday and dozens of excited fans have been camping outside shoe stores for days to ensure they snap up a pair. “We tried to put up tents but the police shut us down,” said City Tech College student Andrew Poveda, 18, who secured his spot Saturday afternoon outside Foot Locker on W.33rd St. and has skipped school all week. 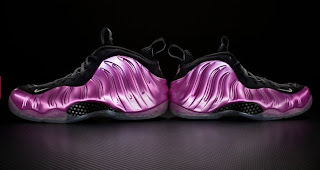 It has a glow-in-the-dark sole, dark purple graphics, and is made of a high tech ultra-durable foamposite material. The waxed canvas upper allegedly simulates an astronaut’s training suit. Each store will get a limited supply of the shoes, which are expected to fly off shelves at the speed of light.